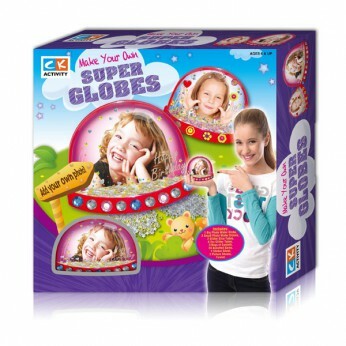 Make your own super globes with this fantastic globe maker. Create your scene and add any photo you want. Shake to create a glitter storm. Set includes 1 Big and 2 Small photo globes and over 30 accessories…. This toy costs approximately £4.99 (for the latest and best prices make sure you check our retailer list for the Make your own super globes above). In our review of Make your own super globes we classed it as being suitable for ages 3 years, 4 years, 5 years but recommend you check the manufacturer specific advice before purchasing.